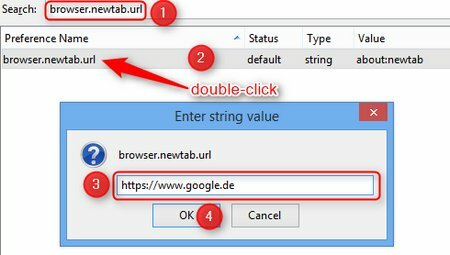 You can easily change the default site, that opens when you start a new tab in Firefox with the following method. You have successfully changed the URL for new tabs. If you want to reset to the original setting, just right click on the item and select reset.